Sophie Apperly's family has never taken her seriously. Fiercely academic, they see her more practical skills as frivolous whilst constantly taking advantage of her. So when her best friend Milly invites her over to New York, she jumps at the chance. It'll do her ungrateful family good to do without her for a while. What s more, she's on a quest America holds the key to solving her family's financial woes, even if they don't deserve her help. From the moment Sophie hits the bright lights of Manhattan she's determined to enjoy every minute of her big adventure. So when an evening at an art gallery throws her into the path of Matilda, a spirited old lady who invites her to Connecticut for Thanksgiving, Sophie willingly accepts, much to the dismay of Matilda's grandson Luke. Undeniably attractive but infuriatingly arrogant, he is very protective of his grandmother and seems to doubt Sophie's motives for befriending her. No match for the formidable Matilda, he eventually admits defeat, but first he has a proposal to make. He'll help Sophie in her quest to save her family from financial ruin if she repays the favour. But just what does she have to do in return...? It's been a while since I read this book. Together with a few other titles, it has been sitting on my shelf waiting patiently for it's turn to be reviewed. I must apologise as I have been having 'blocks' and not having the 'mood' to sit in front of the PC. I must honestly say that I have been having fun watching television series from my tablet. 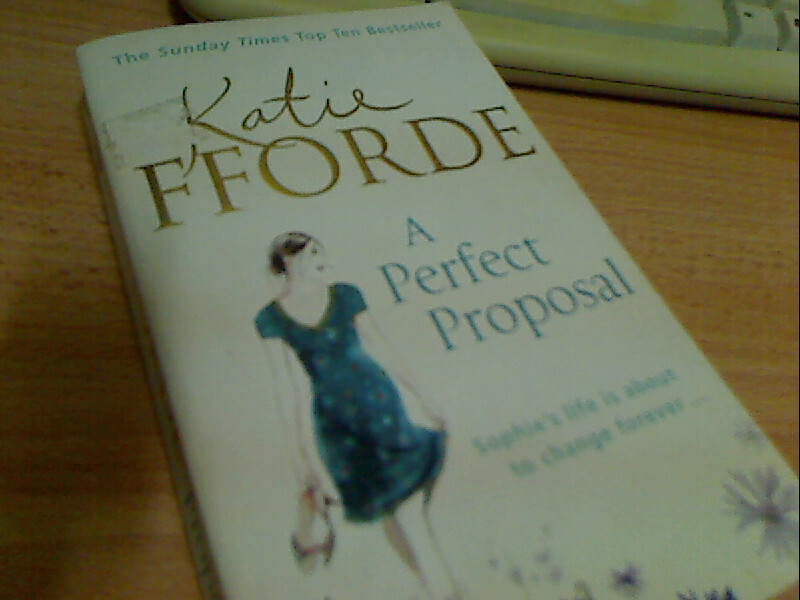 Anyway, A Perfect Proposal is the second book by this author that I read. The first was Love Letters read mid of last year. I wasn't that keen on Love Letters and was such very apprehensive of A Perfect Proposal. However, since I bought this book in a bundle with other titles, gave it a try I did and surprisingly I enjoyed this title. Sophie was quite a sweet and charming person and maybe only because she has rather terrible family members. However, the storyline is rather far-fetched but seeing that it's fiction, it's quite acceptable and quite entertaining. There's nothing special about Luke but his grandmother Matilda is something else. Overall, recommended to those romantic at heart as it's A Perfect Proposal after all.